This is such a great piece that I had to share it. Often, we only think about now (our microwave society). Yet, there is more much more eternally than we can ever imagine. Let this help to start your week off with a bang. There will be naked people in HEAVEN… but you won’t see them as such. Let this be your mid-week inspiration. Check this article out. It is really inspiring and thought-provoking. Please come and bring a friend to hear readings from Pauline’s newest book. Over the past three years I have been on an extraordinary journey! With just a casual conversation with a friend, I started a journey I never expected to make. That journey began adiscovery of my very humble Mansfield family roots. 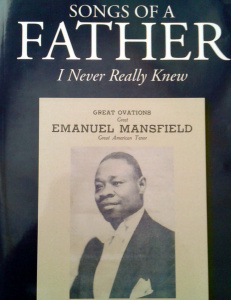 At the same timeI uncovered the path that my father, Emanuel Mansfield, famed concert tenor, took to reach, what seemed like, an unreachable dream – despite so many odds against him. The world needs to hear all of our stories — each story is like a missing piece of fabric in this giant quilt called “Life”.Each of our pieces makes our world a more interesting, more exciting, and more colorful place in which to live. Just this morning I heard Donnie McClurklin talking about how God is in control. I then signed on to my computer and I happened upon this particular blog that spoke about the wisest thing to do. It all goes hand in hand. 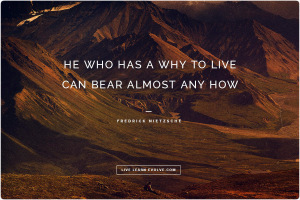 Hopefully you’re encouraged and inspired today! “Fast runners do not always win the race, and the brave do not always win the battle” (Eccl.9:11). The ways of God are very hard to understand. It is not uncommon for bright sunshine to be followed immediately by a down pour of rain. The answers are not always straight. The Bible says, “Wise men do not always get rich, and capable men do not always rise to high positions.” (Eccl. 9:11). You cannot say what comes next in your life. God alone knows. Trusting him with your destiny is therefore the wisest thing to do. I read this a couple of days ago and it keeps running through my heart and mind. Hopefully it does not take such tragedy to motivate you to action. For me, just reading this post has motivated me to re-commit to several goals that I have been procrastinating on. Let me know if this one motivates you like it has me. She is why I want to go after my dreams. She is why I want to inspire others to go after theirs and she is why I want to work to improve myself each and every day, emotionally, physically and spiritually.